Some nights I can’t be bothered to make anything more for dinner than a piece of toast. Which wouldn’t keep me particularly satisfied, but here’s the fun thing about toast: you can put just about anything on (toasted) bread and it counts. 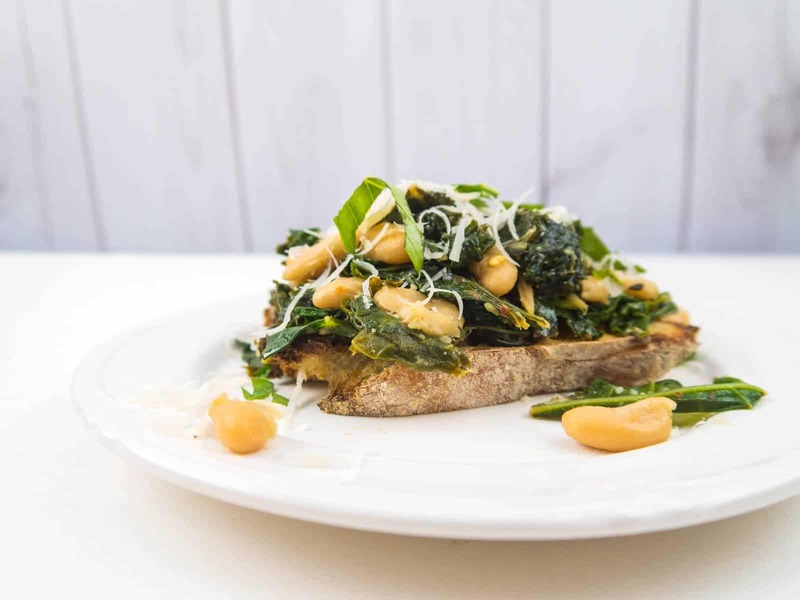 These Greens and Beans on Toast are the perfect example. Greens and beans by themselves are my favorite weeknight pantry staple meal. They take less than 15 minutes to make, are delicious and nutritious and require practically no ingredients. 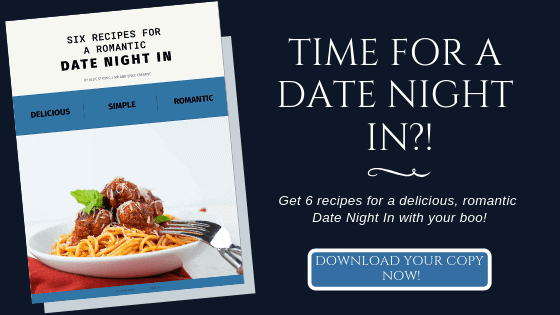 But those soupy, delicious greens and beans are too warm for a summer night. So if we take the concept, lower the amount of liquid we add to the pan, and toss it in a piece of toasted bread, we quickly have the perfect 10 minute summer dinner. Your best bet for this meal is to have some good crusty Italian or Sourdough bread on hand. However, like I always say, don’t go to the store for just one thing! It will work well with whatever you have on hand. 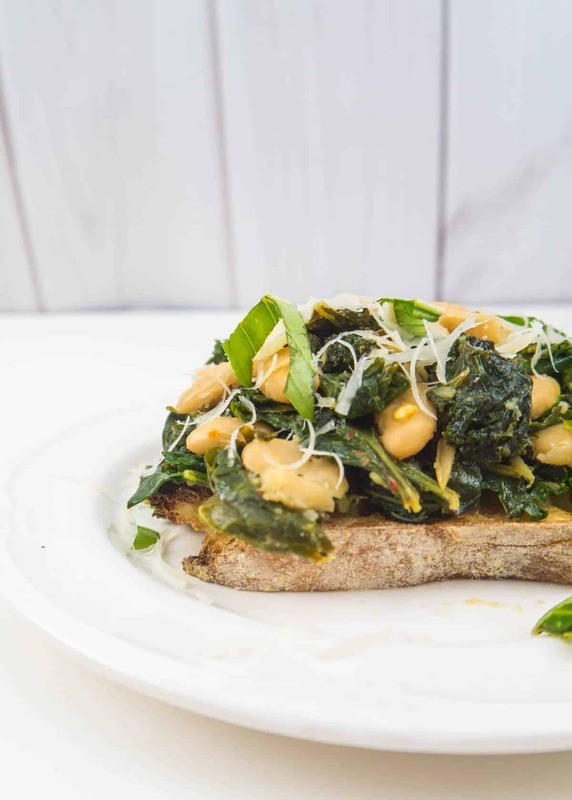 Swap in the bread, beans, and greens for whatever’s in your pantry or wilting in the bottom of the veggie drawer. In a medium saute pan, heat the olive oil over medium heat. Add the minced garlic and red pepper flakes and toast for 1 minute until fragrant. Tear in the kale leaves and stir to coat in the olive oil and garlic. Pour in the beans and stir. Squeeze in the lemon juice and add a pinch of salt and pepper and cook for 5 minutes until beans have softened. Squeeze in the lemon and add the parmesan and fresh basil. Stir and cook 1 more minute to let the parmesan melt. 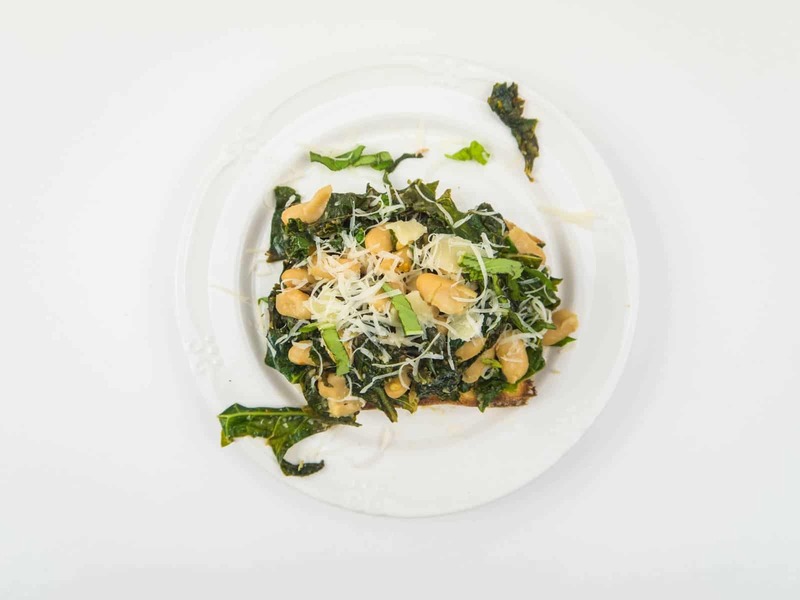 Serve a heaping pile of greens over the toast and sprinkle more Parmesan and crushed red pepper on, if desired. Dig in with a fork and knife or just your hands! Hello, we are from best pizza oven website. I figure out that, it is really good post, wonderful presentation. keep going…..